Strickers Grove is a fun family destination just north of Cincinnati, Ohio, but because this small amusement park is only open to the public two days a year, a getaway will take some planning. The park first opened in 1924 on the 55 acre farm of Henry Stricker, amid several apple orchards near Mt. Healthy, Ohio. At first, the park was just an open picnic pavilion, but in the 1940s a pony cart ride was added to amuse children, and in the mid 1950s, several mechanical amusement rides became popular park attractions. The park was a favorite gathering spot for the friends of the Stricker family, and when Henry Stricker died in 1960, his three sons continued to operate the family-oriented park. 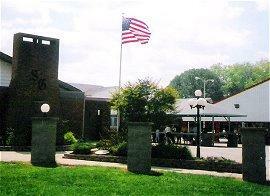 In 1972, Ralph Stricker became the sole owner of the park and relocated it to Ross, Ohio. Though the park is now surrounded by 25 acres of corn fields rather than the apple orchards that gave it the name "Grove," it still maintains the friendly, convivial atmosphere that has made it a popular destination for generations. Unlike most amusement parks, Strickers Grove is only open to the public on two days each year. The Fourth of July is a popular day to visit the park, when not only can guests enjoy the classic attractions and good-natured fun, but the park also lights up the sky with a celebratory fireworks display. The second day the park is open to the public is traditionally the second Sunday each August, which is designated "Family Day." This is a popular day when many families stage small reunions, parties, and other get-togethers at the park. The entire park may be rented from mid-May through early October, but the climate controlled indoor hall is available year round and can accommodate up to 650 guests. Rental rates and conditions may vary; interested guests should contact the park's business office at (513) 521-9747 for more information. It may seem that a small, private park would not have much to offer, but in fact this classic amusement park has a wide range of activities for everyone to enjoy. There are more than a dozen rides to enjoy at this park, many of which are perfect for younger guests as well as anyone in search of a good thrill. Classic rides include a Tilt-a-Whirl, Ferris wheel, Scrambler, carousel, train, helicopters, kiddie boats, and rockets. Guests who want a stronger dose of adrenaline can challenge the Tornado and Teddy Bear roller coasters, traditional wooden designs with curving figure-8 track layouts. The Tornado is nearly two minutes of twists, curves, and drops, while the Teddy Bear is a smaller coaster and a replica of the Teddy Bear coaster that was once part of the Cincinnati Coney Island theme park. A day at the amusement park would not be complete without playing games, and Strickers Grove has a wide range of fun options. A baseball diamond and horseshoe pits are perfect for family fun, while Skeeball and arcade games can challenge anyone's skill and coordination. A shooting gallery and 18-hole miniature golf course round out the enjoyable amusements. To keep up the energy at the park, guests can indulge in classic summer treats. Hot dogs, popcorn, and other simple snacks are available, and guests are welcome to enjoy the free drinks offered at the concession stand. The picnic pavilion is shaded and awaits any food guests care to bring, and grills are available for summertime barbeques.